This month’s featured Wild Web Woman is Faith Rothberg, the CEO of College Recruiter, a company dedicated to helping students and recent grads find careers. Each year they help about three million students and recent graduates of one-, two-, and four-year colleges and universities and graduate schools find great careers. 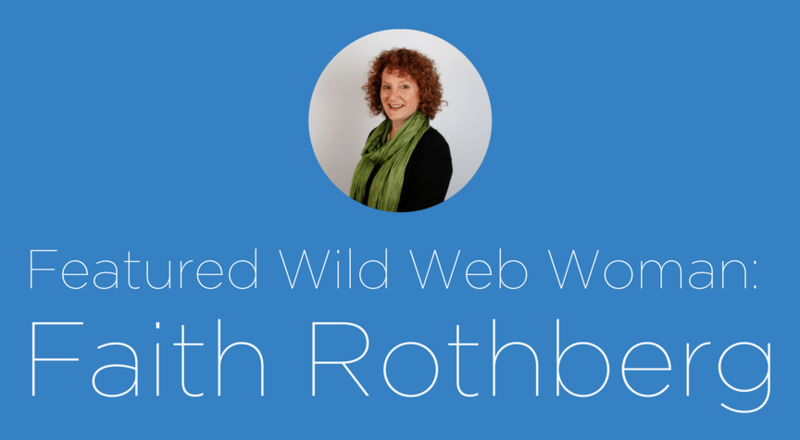 Meet Wild Web Woman Faith Rothberg! What inspired you to launch your web-based business? I wasn’t the person to launch it, that was my husband and co-owner of College Recruiter. For years I was his free consultant (with a perfect background for that) while we raised our three children who are all two years apart. We always spoke about running the business together once they were older, as our strengths really complement each other. Once our youngest was old enough, I jumped in and started managing the website as I have a strong IT background. As I got to know the rest of the business I then became CEO. The part that really inspired me to jump in and to make this my passion was the fact that we help young adults get started in great careers! How has your previous employment experience aided you professionally? My previous experience allowed me to jump in and manage the technology. It also helped me hire and manage the staff. I have a lot of experience in the area of technology, from my first job as a computer programmer where I worked in Assembly Language and COBOL programming to managing programmers, to managing turnaround IT projects. I also consulted in this area and saw many different companies from large to small – which helped me see the different types of technology used by all. Lastly, through consulting I also saw so many small businesses and how they operate – the things that work and the things that don’t and now I could apply those to my small business. Do you weave your values into your business? How? Yes, we do every day. The most fundamental way that we do this is through our core values. Not only do we have these values on our website for all our customers to see, but we stress them every day inside the company by the way we treat our customers, the way we solve problems, the way we work together as a team and lastly the way we have fun! We all work remotely and one of my favorite minor distractions is when someone starts a chain of funny laugh out loud pictures/memes. What is the best part about being a web-based businesswoman? The best part for me is being able to network with other web-based businesses and other women running businesses like I do. I love the ability to connect online and at conferences and to support younger women in the tech world. What is the most challenging part of being a web-based businesswoman? The biggest challenge is keeping up with technology. We have had our job board/website since 1996 that is going on 21 years. We have had 6 versions of our site – I mean completely different technologies – sometimes outsourced, sometimes purchased packages and sometimes built on our own. That means that every 3-4 years we have migrated to something new. Our current site we developed from the ground up on a framework with responsive design to allow us to greatly scale what we do. What is your favorite way to unplug from work? Go for a walk or a bike ride somewhere in nature. I love the calm and tranquility of the woods and the water. How do you maintain your health? Eat well, try to get enough sleep and exercise both body and brain with yoga and meditation. What are some of your proudest accomplishments? My three young adult children! Raising kids is not something you learn from a book or a class – it is a challenge at times and an awesome responsibility. It is also amazing to be full of pride and love for them. Professionally I would say my greatest accomplishment is jumping back into the workforce after spending roughly 13 years at home with my children and handling a very steep learning curve and continuing to develop as a leader in our business and in our industry as well. What is the wildest thing you have ever done? Travel to India – specifically the Himalayan mountains when I was in my twenties. It was a dangerous time in the north of India, but it was amazingly beautiful and intriguing to see. Also, going on a trek in the north country of Thailand and riding on an elephant and staying in a mosquito-netted tent. What three web tools can you not live without? Salesforce, Gmail and QuickBooks Online. What helps you increase your productivity the most? For me personally, it is the enthusiasm and inspiration I get every day from my employees. They are super workers and great people, too. Do you have any personal “wild web” role models? If so, who? Sheryl Sandberg after she wrote the book LeanIn. I felt very much the same way she did about my male dominated career path and how it was hard work to ensure that I had an equal voice as a woman. I appreciated her story and it further motivated me to continue trying to help other women find their seat at the table. What are some risks you have taken that resulted in positive outcomes? Jumping back into the business world in a very fast moving web based business was by far a huge risk – how would I get my knowledge up to date having been out of the tech world for 13 years? I have not only been able to be successful in my role managing IT but have come to run the company as CEO. What is the most important lesson you’ve learned in your career to date? I am a bit embarrassed to say – not hire five sales people at once when you begin to create a sales team. This was the largest mistake I have made in my career. Not only did it cost my business and my family a lot of money, but more importantly it was difficult to have to let people go because they weren’t able to sell. It was also such an incredible learning experience for me. I realized that I needed better and more complete tools in place with an already defined process before hiring so many. I should have hired two first. Then developed the sales process with them to prove it out and to solidify the use of our technology as well. I also leveraged the Entrepreneur’s Operating System (EOS) from Gino Wickman. It is a tool that helps you hire the right people into the right seats. I also used a Sales Assessment tool called SalesDrive, which rates people on the three key components of effective salespeople – optimism, competitiveness, and achievement. Using these two tools and knowledge I had gained through the 18 months of having the 5 positions and 9 different salespeople, I began to better hire right people. How do you maintain a work/life balance? Frankly, that is the biggest challenge. Sometimes I am successful at it and other times not. Then I regroup and try again. I think that this is a constant battle for many people and for sure many women. I do prioritize family time including my parents and sibling and family who live in town. Business-wise, where do you see yourself in ten years? Paying it forward…consulting other women still in the throngs of running a business and building their careers. Possibly also starting something on a small scale that helps people. Where’s your favorite place to work from? My home office. I also love to sit outside in the spring as the weather at that time of year really energizes me. How do you make your home a productive space to work? Since we all work remotely, my home office is my only office. We have created a space that is exclusively for work and away from the everyday home area. It has a skylight and all the equipment in it to be productive each day. 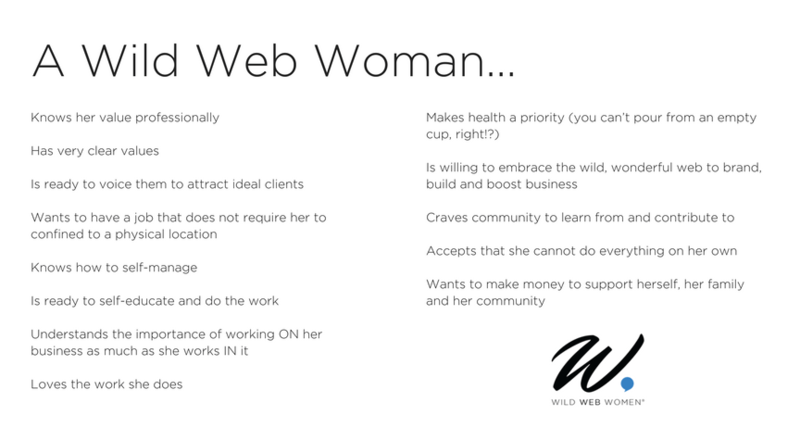 What is the #1 piece of advice you would give to someone who’s aspiring to run a web based business and be a Wild Web Woman? Know why you are doing what you do, be passionate and love what you do, and never see a challenge as a wall, rather see it as a pylon that you simply need to get around. Name a few products that you absolutely cannot work without or love having around you? I always have aromatherapy around and when I need a pick-me-up or relieve a bit of tension I reach for my Eucalyptus, Tea Tree, and Peppermint combination aroma. 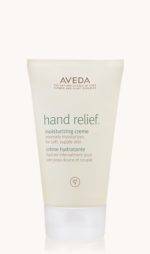 In the winter months, I always have my Aveda hand cream and a happy light when the sun hasn’t shown itself in a while. Faith, thank you for much for letting us get to know you! What a wild web woman you are! Be sure to check out Faith’s wonderful web-based business at www.collegerecruiter.com or follow her on Twitter or LinkedIn!